A to Z Theme Reveal - A Rose Is A Rose Is A Rose! 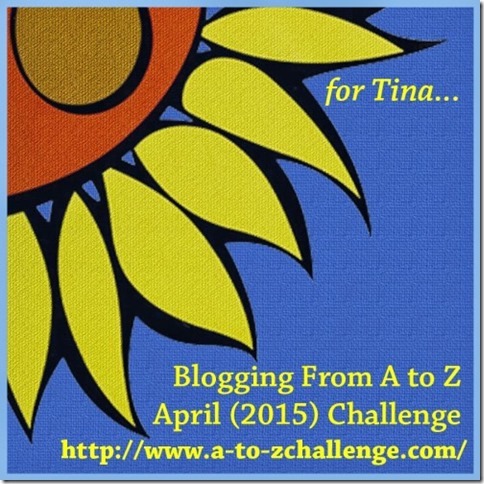 This April, I will be participating in the A to Z Challenge for the third time in a row. For the first, I took each day as it came and wrote about random subjects from A to Z. By the second year, I had gained some experience and during that time there was quite a buzz about to theme or not to theme. So, I decided to go with the theme. Last year, my theme for the A to Z Challenge 2014 was Marriage from A to Z in exactly 55 words! Yes, I wrote about the ingredients that make or break a married relationship and packaged them in 55 Fiction. It was a fun and a challenging experience. Having written without a theme and on a theme from A to Z, these last two years, I spent some time on whether to theme or not, this year. Mind you, both are quite challenging in their own way. Writing on a random new topic almost every day or writing on a planned subject(which could be restrictive) from A to Z has its thrills and chills. I did an extensive 5-minute research and decided to go with a theme for the April A to Z Challenge 2015. And the big moment has arrived. It’s time to reveal my theme for this year’s challenge. My Theme for the A to Z Challenge 2015 is : Emotions and Feelings from A to Z in 55 Words. 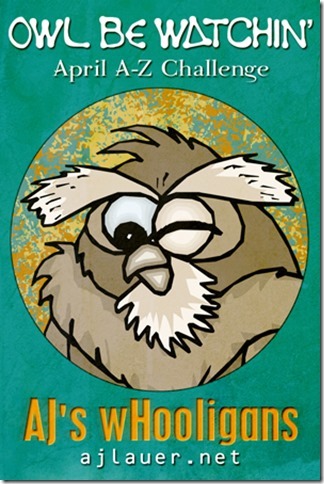 Emotions and feelings are an integral and essential part of our life’s experience. They drive us and even drive us astray. Healthy and unhealthy expression of emotions comes naturally to us. So, this April I will be exploring the varied positive and negative emotions and feelings in the form of short stories expressed in exactly 55 words!! Hope you’d enjoy reading the 26 stories on emotions from A to Z as much as I’d love writing them. See you around! And did I tell you that I am in AJ’s team (one of the Co-host for this year’s challenge) as wHooligan and that’s second year in a row!! Joining me are LuAnn Braley, Kripali Kulkarni, TaMara Sloan and Sue McPeak. We will be watching you and of course doing all the ‘hard work’ behind the scenes! Wow! Cool theme! Definitely looking forward to it 🙂 Have fun, Shilpa! I’m already glued to your theme! Loved you last year’s theme. Looking ahead for this one too! Good luck! 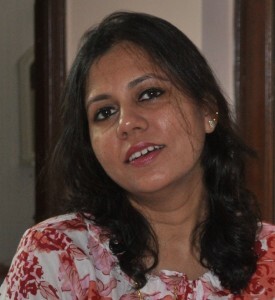 Hi Shilpa…What an engaging topic and theme you have revealed. So amazing to me that you can write so much meaning with only 55 words. Needless to say I am looking forward to your posts and to our Minion Teamwork as AJ’s wHooligans. Thanks for the mention. I am visiting from the AtoZ Theme Reveal Blog Hop…please, simply click on my Signature Link for a visit to my Theme Reveal. Thanks for your support, Sheethal! Are you participating in this challenge?? Love your theme idea, Shilpa! What fun! So creative reading about all these theme ideas. Have fun with the challenge! Thanks a lot, Cathy! Arent you doing the April challenge?? Sounds interesting! I’ll come back for those emotion laden posts 😉 How fun for you to be a whooligan! Awesome theme! I am intrigued by your 55 words, too. I wish I could write that concisely. I just love words and love to talk. Twitter stresses me out. Trying to blog in less than 55 words would probably push me over the edge. I can’t wait to start seeing how everyone progresses. That’s a great pick, Shilpa and I look forward to reading your posts in April. My initial pick was to go random for the challenge but something inside me warned against it since I will be a first timer this year. But your idea of no theme / themes inspire me to try them out 🙂 All the best for the blog-a-thon. Wonderful! That’s a great theme! That sounds like a great theme, Shilpa!Wish you the very best for the challenge! Thanks a lot, Shilpa! Arent you doing this challenge? Loved your posts last year and look forward to this year too. Oh my, you clearly DO love a challenge! This is my first A-Z ( and I’m a relative newbie blogger) so it’s going to be exciting to discover the range of styles and approaches. Good luck! LOL 😀 Yes 😀 I am looking forward to a lot of fun and challenging myself in the process, too! Your 55 words magic was really cool last year, this year it will be equally fun. Getting my post up soon. Thanks Satya! Are you participating this year? Yes, i am very much with you in this. Ahhh I need to do a theme reveal !! But not getting the time! 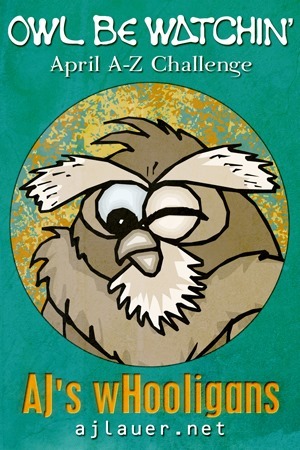 I always enjoyed reading your post, and I like your theme -emotions, sounds interesting.. looking forward to this year ! also congrats for being the co host assistant..
55 Words! Wow! On emotions! Great thank you Shilpa … will sign up! Thanks for being a co-host and to your minions. We’re waiting for the emotional times here, Shilpa 🙂 Loved your Marriage in 55 words through A to Z, and I’m sure this is going to be one beautiful journey too! Love the idea of short posts, and I couldn’t stop by without saying how much I love your rose quote, Have a great challenge. Wow! an emotional feast for us! Great shilpa, willl be around to cheer you. You sure will rock! Lovely! I remember last year. I am laughing at your “extensive 5 minute research” Shilpa! Did I tell you that I am in awe of you! Writing for this challenge on 3 blogs!!! Super amazing! Hey!! We share the same theme 😆 😆 But I’m not setting a word limit, this is my first A to Z so I don’t want to mess it up. I will be dropping by 🙂 Wish you good luck!! Good luck with the A-Z!! Thank you so much Kathy! Arent you joing us this April? emotions and feeling in it self says a lot and when they come in alphabetical order by a rose gal i am sure it will be fun to read them all. Your creative writing has always rocked and will do so this year too I long to read all emotions/ feelings from your writings and stories…. HI Pracz! Thanks a lot for your kind words! Hope you enjoy reading the 55ers on emotions and feelings! Arent you participating in this April challenge? But ya sure will get inspired by your writings will be a beginner this time…before i start swimming in words…. No worries! Blogging can wait, it is life that has to take precedence over everything! Take care and enjoy! your ‘marriage’ theme last year was awesome…and I’m looking forward to some innovative reads on ’emotions’ this year! Awesome theme! I can’t wait to read your stories. Emotions sometimes prove difficult to write about and it will be fun to see what a gifted writer comes up with! Looking forward to it! Interesting theme! The 55 word limit will make it even more challenging. Looking forward to your posts. Yes, it is! I am wondering if I have suicidal tendencies 😉 Thanks Debbie! What a great theme! Looking forward to journeying through April with you and seeing what greatness you come up with! You’ll have plenty to draw from writing about emotions and feelings. Smart move. Shilpa, I had commented yesterday, but cant find them here. Your theme is amazing. Last year 55ers were a great success. Waiting to read your astounding posts. Thanks a lot for your kind words Ma’am. Looking forward to read your posts too! I like your approach to this year’s A to Z. Theme or not to theme, that is a big question when 26 days are dedicated to the venture. Last year I didn’t have a theme. This year, like you, I do but an open theme with lots of room for creativity. I look forward to your posts. Your topic is so relevant to our everyday existence yet leaves room for artful interpretations as well. I enjoyed your theme last year Shilpa. This year it promises to be even more fun. Will be definitely be around. Thanks Tulika. I loved your theme last year and this year’s theme is great too. Even though you are now not participating in the challenge, hope you’d write on the theme at your pace! Will miss you! Okay so my comment disappeared. I do remember your theme from last year. It was just great. Will definitely be dropping by this year too. Since I never participate in any of these challenges….all I do is to wish you best of luck. This seems really cool! Sure to frequent this place to read the short stories. Good theme with a better concept Loved your posts last year and look forward to this year too.